The Company, Natural Restoration Services Ltd t/a A&G Chem-Dry are committed to protecting and respecting your privacy. This policy sets out the basis on which any personal data that you provide to us, will be processed by us. Please read the following carefully to understand our views and practices regarding your personal data and how we will treat it. The rules on processing of personal data are set out in the General Data Protection Regulation (the “GDPR”). Data controller – Mrs Jackie Clark. Data processor – A processor is responsible for processing personal data on behalf the company. All staff that process data are employed by the company. The directors of Natural Restoration Services Ltd t/a A&G Chem-Dry are aware of the obligation to comply with GDPR from May 25th 2018. 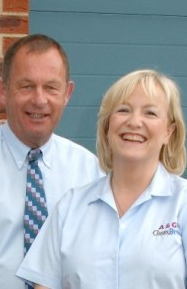 All data held by A&G Chem-Dry was freely given by customers, suppliers and contractors and will only be used in connection with our normal activities. A&G Chem-Dry will never pass personal data to a third party without prior permission. The data will be kept securely and only be used for the purpose that it was collected. Furthermore, this data will not be used in connection with email marketing without prior written consent. Other than for statutory accounting purposes, the data will be only held for one year following the termination of a relationship with a customer, supplier or contractor . Invoicing and the job sheets we use when undertaking work which you have instructed us to carry out. Personal data: name, address, telephone numbers and email addresses. We have obtained your personal data from information you have opted to supply to us. Your personal data will be treated as strictly confidential, and will be not be shared with anyone, unless legal authorities need access to it. We keep your personal data for no longer than reasonably necessary and in order to keep you informed of up and coming offers promotions and reminders. See our Privacy Notice. The right to object to the processing of personal data, (where applicable i.e. where processing is based on legitimate interests (or the performance of a task in the public interest/exercise of official authority).